This project has become the most ambitious light carbon Cat of them all. Making an AC45, AC72, GC32, FP , Nacra FCS or an A-Class foil can be assimilated in their racing program. Now having a Cruiser oriented Cat to fly is something we all are eager to see. The foil technology is there and proven in every size mentioned above, so maybe having a bigger GC32 to blast during daylight plus dinner at night could be the ultimate package? 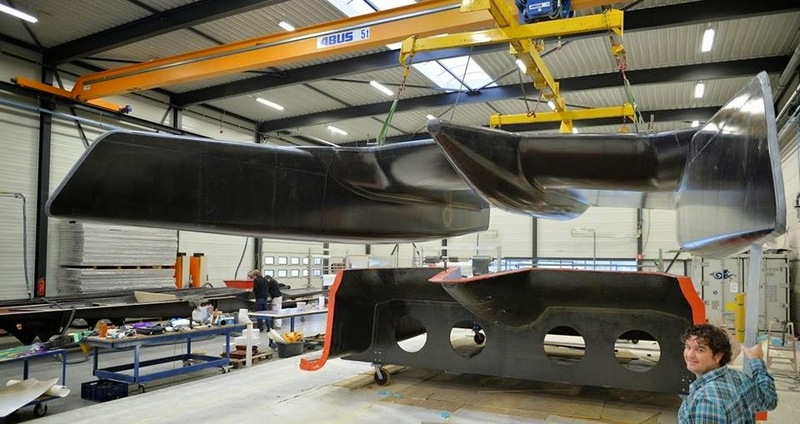 We will seen in it sooner than later it seems as the first platform has beeng released at Holland Composites.